Modi takes no sabbaticals. Even when he is abroad on official business, he believes in fighting his party's opponents. Since Narendra Modi became Prime Minister last May, he has criticized, or mocked, 'secularists' and secularism in India on two occasions. Strangely, each time while speaking to NRIs on foreign soil. Opinion: Bring Kashmiri Pandits Home. But Not to Ghettos. The involuntary exile of virtually the entire Pandit community from the Kashmir valley in the wake of the separatist insurgency that broke out in the state in 1988 is one of the great tragedies of independent India. After using Congress President Sonia Gandhi as the foil for a racist remark, Giriraj Singh and the Narendra Modi government seem blissfully unaware of the damage this has done to India's relations with Nigeria, and to its standing with the Africa as a whole. What do Narendra Modi and Azam Khan, Karti Chidambaram and Mamata Banerjee have in common? The law will no longer allow someone to be arrested for writing an online comment that offends or annoys them. BJP strategy against Nitish Kumar risks mega backfiring, writes Siddharth Varadarajan. Siddharth Varadarajan on what has driven voters from BJP to AAP. Whether AAP wins or not, it is back in the game, writes Siddharth Varadarajan. 3M strategy - Money, Mud, Modi - hasn't worked, says Siddharth Varadarajan. Her letter exposes Congress' growing problems, writes Siddharth Varadarajan. Clear message in selection of new Foreign Secretary, writes Siddharth Varadarajan. Opinion: Obama and Modi Have Taken Big Steps. What Next? 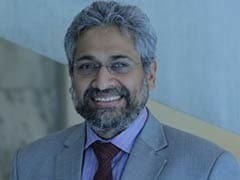 Nuclear deal done but questions remain, says Siddharth Varadarajan. Siddharth Varadarajan on defections to BJP, praise for Prime Minister. Why aren't BJP chief ministers intervening, asks Siddharth Varadarajan.